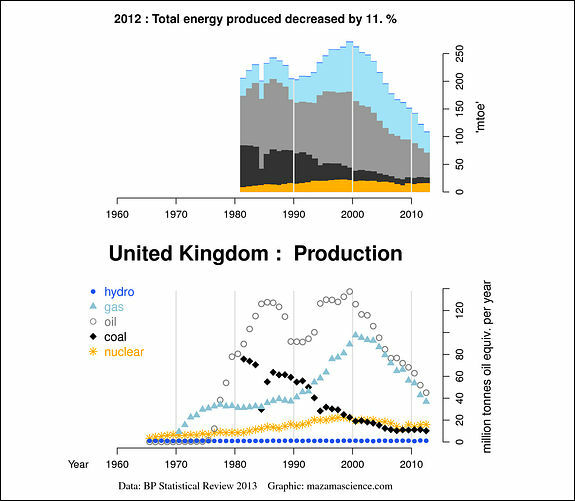 United Kingdom now produces only 40% of the energy it did in 2000. Yeah us Brits are fucked! It might be interesting to compare the UK to other European countries. For example, here is a comparison of energy imports and here is a comparison of the fraction of nuclear and renewable energy to total energy use.